Alright team… After yesterday’s Tweet campaign to show support for School Libraries I was wondering what to do next. I mean, what do we do if they do get supported? How can we show our appreciation? Well, luckily I didn’t have to think about it too long. I received this email from Ann Crewdson on the ALA Council Listserv. I had to share this piece of positive information with you all. I just got off with the phone with Senator Cantwell’s legal aide after asking her to support school librarians. I told her it was “me again.” She laughed. I told her that if Senator Cantwell supports school librarians I would send her a personalized READ poster signed by educators, just like the one I’m giving Senator Patty Murray for championing schools, kids and reading. It piqued her interest. She said chocolates wouldn’t make it through the office but a poster would! I think this is a great idea! 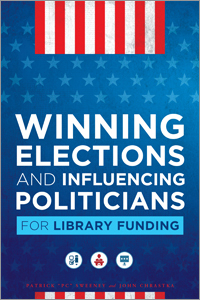 We need to show our thanks to our senators who do support libraries and librarians. Personally, I would prefer the chocolate, but I see her point that it wouldn’t make it out of the office. Anyway, if your senator supports school libraries or public libraries, at the very least we need to be thanking them in some way. A signed poster is a great way to do this because they may hang it up and it would serve as a constant reminder that libraries are important! 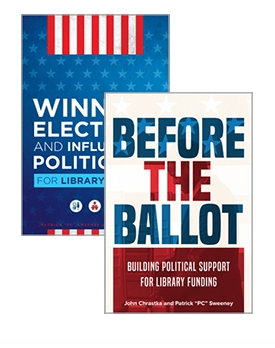 Or… If you send a Read Poster that is signed by children in your library or some other little way to yank on some heartstrings of our politicians maybe they will change their minds if they don’t support libraries. My whole point here is that maybe we should all send our local politicians a signed read poster? Or, maybe a read poster with your library’s children on it? What are your thoughts? 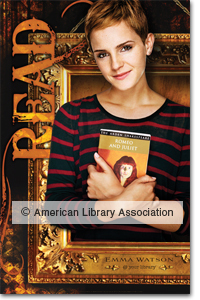 If you want to purchase a read poster, here is the ALA Store! For a custom Read Poster I found this link too. Its even cheaper than a ALA Read Poster.